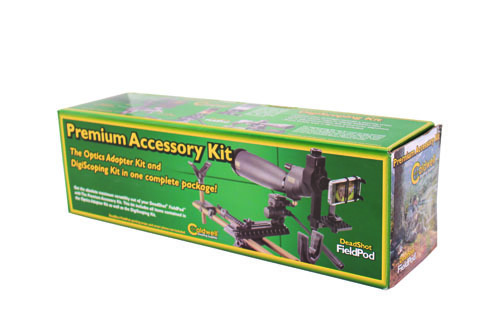 Get the absolute maximum versatility out of your Dead Shot® Field Pod with The Premium Accessory Kit. 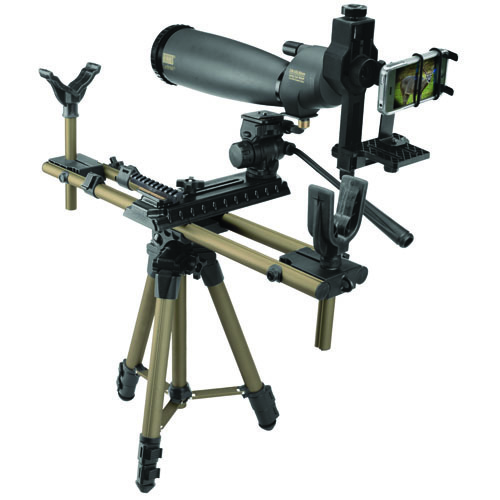 This kit includes all items contained in the Optics Adaptor Kit as well as the Digiscoping Kit. 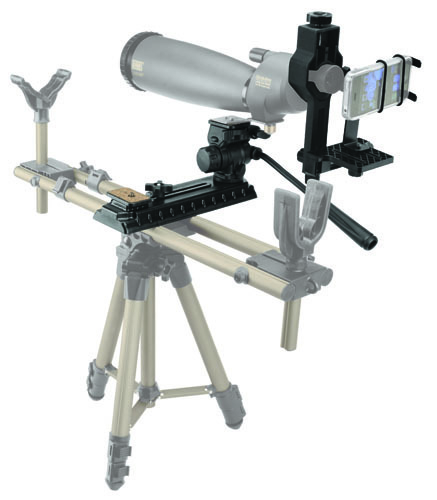 Digiscoping Kit with Smart Phone Cradle #488444: This kit is the perfect addition to a DSFP outfitted with an Optics Adaptor kit or it can be used on any spotting scope on any tripod. 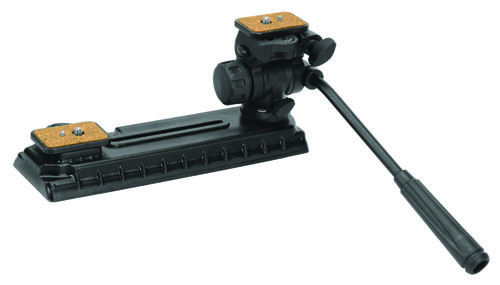 The Digiscoping bracket attaches to nearly any spotting scope (eyepiece must be between 27mm and 58mm in diameter). 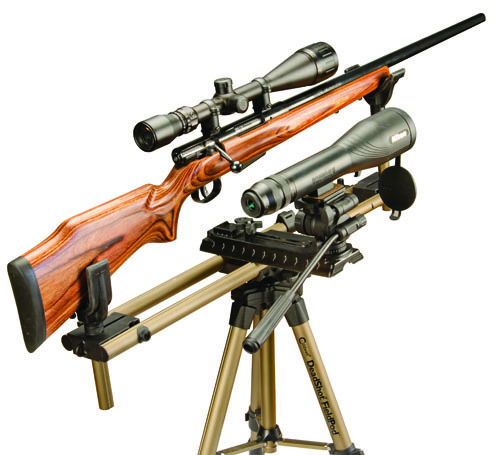 Once attached to a spotting scope, the ¼ 20 threaded bolt will mount any camera with standard threaded hole. 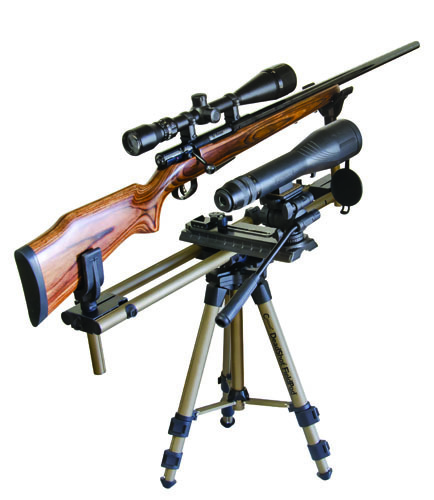 Micro adjustments allow the camera to be perfectly aligned with the spotting scope’s eyepiece for viewing or capturing photos. 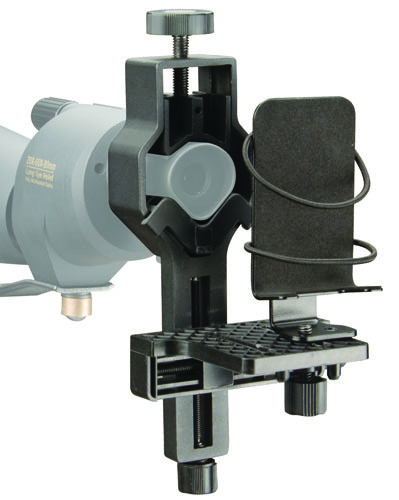 The Smart Phone Cradle included with the kit allows a phone to be used on the digiscoping bracket and easily aligned with the micro adjustments. The Cradle can also be mounted to a quick attach plate and then used on top of the tripod head in the Optics Adaptor Kit to capture photos, video or display ballistics data for precise firing solutions. 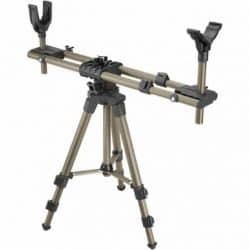 Digiscoping bracket is constructed of cast aluminum and weighs approximately 13oz, the Phone Cradle is powder coated steel, includes protective pad and elastic cords for securing phone; weighs approx. 8oz. 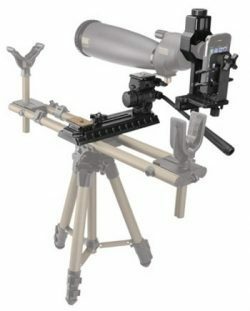 Capture close up images through a spotting scope. 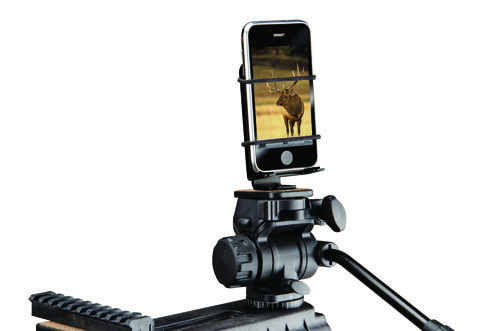 Micro adjustments allow fast and precise alignment Phone Cradle with ¼ 20 mount included Capture photos, video or display ballistics data.